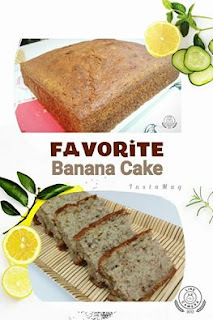 Another of my favourite cake - Moist Banana Cake. The difference for this bake was I replaced milk with yoghurt and I used organic butter and sugar. I felt the cake was not as moist from my usual bakes, perhaps due to the use of 3 large bananas instead of 5. There was not much butter flavor too as compared to using SCS butter. A good attempt with using organic ingredients.